Mercedes driver Valtteri Bottas put a checkmark next to a major career milestone yesterday morning as he grabbed pole position for the first time since he began racing in Formula 1, but he left Bahrain the next day with an uncharacteristically sullen look on his face. Though Lewis Hamilton had qualified second, Ferrari’s Sebastian Vettel mugged him at the start and quickly got to work filling Bottas’ rearview mirrors. Thanks to some clever strategy on the part of his team, Vettel then got himself into first place and began to work up a solid lead. Bottas didn’t have the pace to catch him but it quickly became clear that Hamilton might. 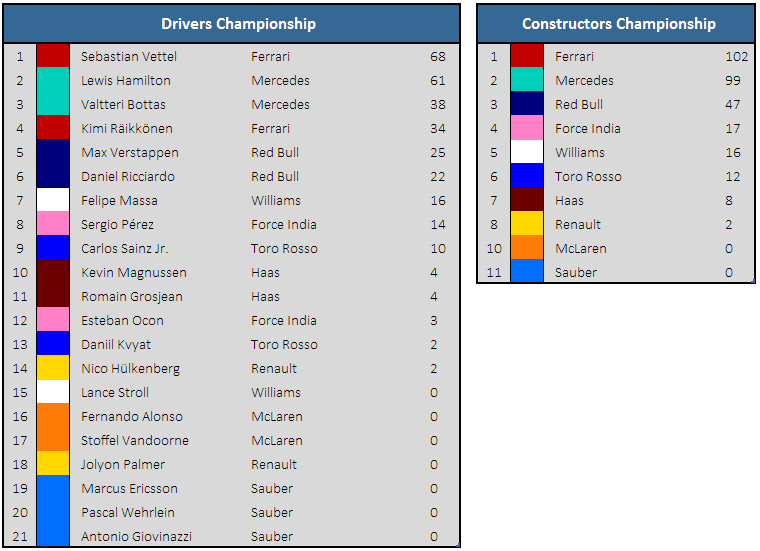 Under team orders, Bottas made way for the three-time world champion to give him a chance at the win, though ultimately Vettel never came close to relinquishing it. 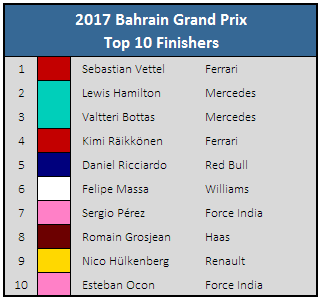 It would be one thing not to win the race after starting on pole—the majority don’t at the Bahrain Grand Prix—but it’s another thing entirely to be asked to move over for your teammate, and Bottas was visibly unhappy about it after the race. Cornering Conundrum: What is camber? His frustration is understandable: the Finnish driver’s dreams became reality during the winter when he was picked to replace Nico Rosberg, the reigning world champion, at Mercedes; but just three races in, Bottas already finds himself trailing Hamilton by 23 points—worth almost a full race victory—and doesn’t seem to be able to challenge him quite as much as Rosberg had managed (or to get under his skin, for that matter). Furthermore, while Mercedes was able to let Hamilton and Rosberg race as hard as they wanted over the last three years, as victory was usually guaranteed for the team in either case, this is a luxury it can no longer afford. 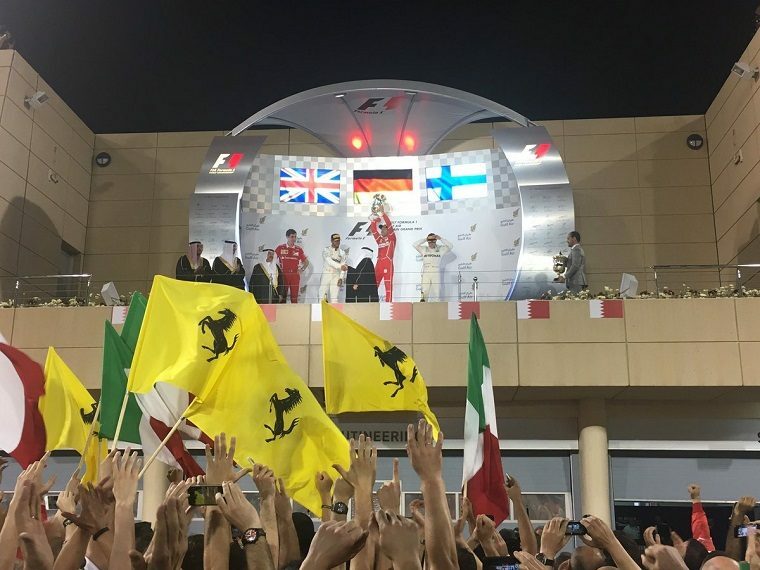 Ferrari has shown it is well and truly in the 2017 championship fight, and with 37-year-old Kimi Räikkönen unable to keep up with Vettel, there is a clear hierarchy among the Prancing Horse drivers. Consequently, with Ferrari fully backing Vettel, Mercedes’ battle for the drivers and constructors championships may be compromised should it avoid doing the same. If Bottas doesn’t want the dreaded No.2 driver status forced onto him, he needs to immediately step up to the plate and show he has what it takes to beat Hamilton on race Sundays, else his Formula 1 career and prospects as a future world champion will take a major hit.